transport, import, export, logostic, thailand logistics, air freight, sea freight, ware house , Delivery, Domestic Delibery, Logistic Solution, Global transport, Global network, Thailand excell logistic, Excel Transport , Excel logistic, Excel Transport International co., Ltd. 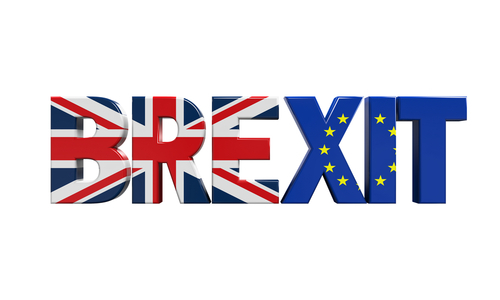 The British International Freight Association (BIFA) and The Freight Transport Association (FTA) have joined other economic organizations voicing their positions on Prime Minister Theresa May's vision for Britain's future relationship with its European and global trading partners. The BIFA and FTA are underscoring the importance of clear rules of the game, and the industry's reliance on European Union nationals who "work as drivers, warehouse operatives and in other key roles across the sector," said the FTA. "The Prime Minister's commitment to maintain the common travel area in Ireland is welcomed by FTA as this is one of the key issues of concern to its members," the trade group said. They also applauded her commitment to "tariff-free and frictionless trade" with the E.U. and to ambitious free-trade agreements with other global partners. German Chancellor Angela Merkel has made clear that the U.K. must forgo its preferential trade treatment if it refuses to accept open borders, raising questions about how May, foreign secretary Boris Johnson, and the newly appointed ambassador to the E.U., Sir Tim Barrow, will finagle that point. The BIFA cautioned that May's plan was "short on the details" and pledged to work with its members as the negotiation proceeds. "Our members across the country over the last few months have been dealing with a lot of uncertainty," said Robert Keen, director general of BIFA. "They would have welcomed clarity on the mechanics that will underpin Mrs. May's desire for ‘tariff-free and frictionless trade.'" So far, May has fielded criticism from across the political spectrum for her handling of the disengagement. Sir Ivan Rogers, the former U.K. ambassador to the E.U., urged his staff and successor to challenge "ill-founded arguments and muddled thinking," in a resignation letter that was interpreted as an attack on Downing Street. On the freight side, Keen stressed that "what our members need from government is some answers to those questions. As the old saying goes, the devil is in the details. And after today's much-anticipated speech, much of the real detail is missing." © 2007 EXCEL TRANSPORT INTERNATIONAL CO., LTD. All Rights Reserved.